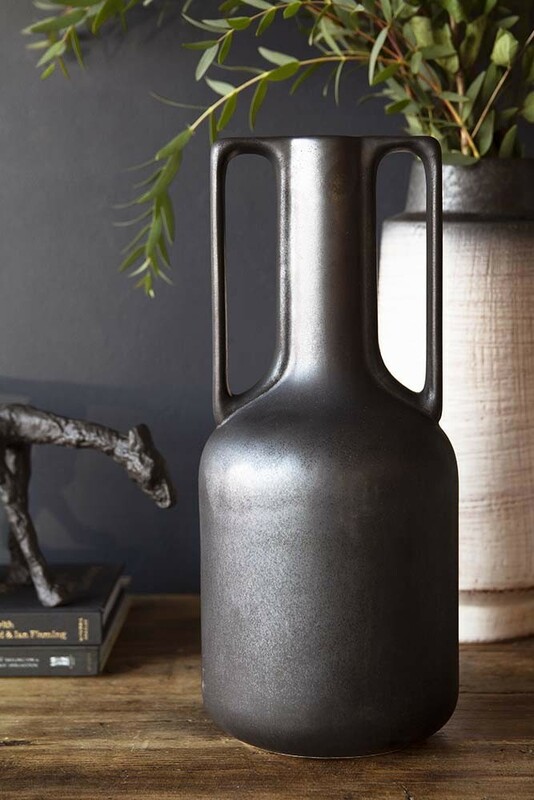 The beautiful Ceramic Bottleneck Vase With Handles – Black Onyx is a statement decorative vase that will adorn your shelves, tables, mantelpieces and surfaces around the home. Display pieces such as vases, ornaments, quirky bookends and coloured glass bottles are all easy ways to update the home without much time, money and effort. The trick is to create a style spot on your coffee table, mantelpiece, book shelf and more using pieces that are either textually interesting, add colour to your interiors or adds heights, layers and dimensions. 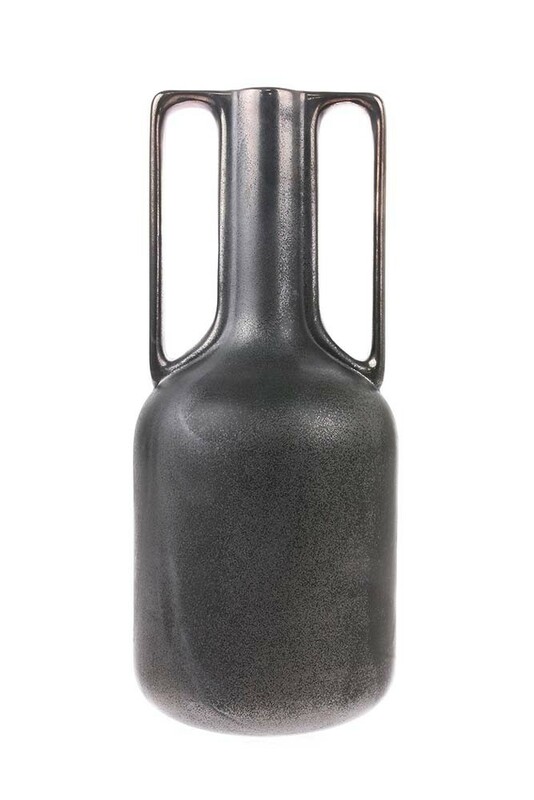 A wonderful decorative vase the Ceramic Bottleneck Vase With Handles – Black Onyx will add refined style to your home interiors! 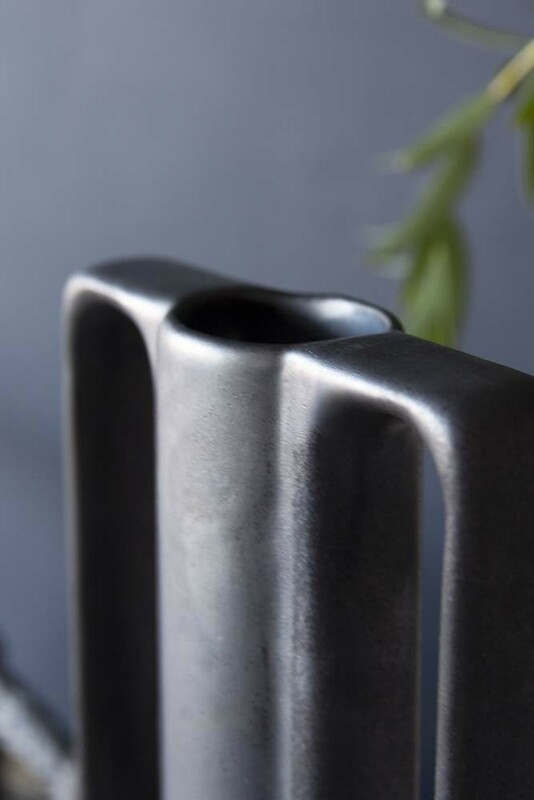 A beautiful single-tone vase in black with two handles,we think that this vase would look gorgeous with a big bunch of long stem flowers or greenery. Use the Ceramic Bottleneck Vase With Handles – Black Onyx as a vase or a display piece and instantly upgrade your home! We also think that the Ceramic Bottleneck Vase With Handles – Black Onyx would make a rather lovely gift too!